T.J. McNitt is the driving force behind the VerdeGo team and day to day operations of both our locations. 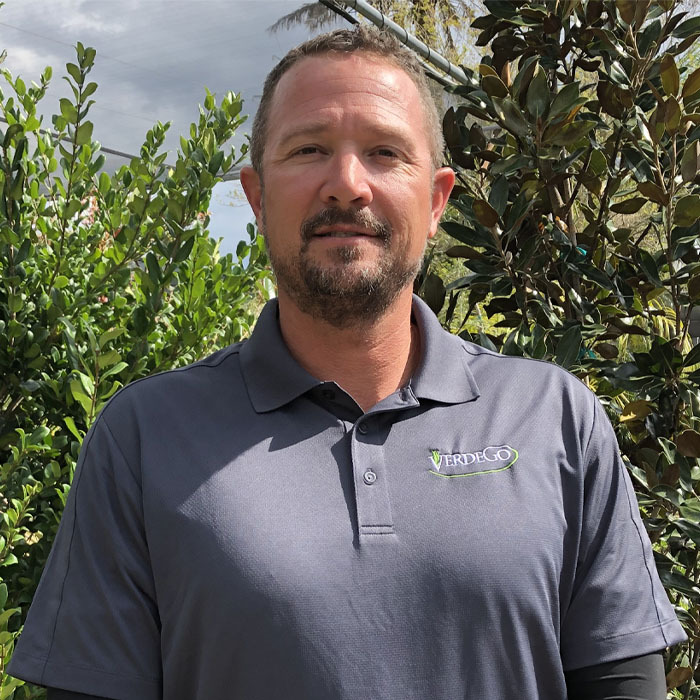 T.J. is a licensed and certified General Contractor with extensive knowledge and experience in the installation of many landscape, hardscape and irrigation projects. 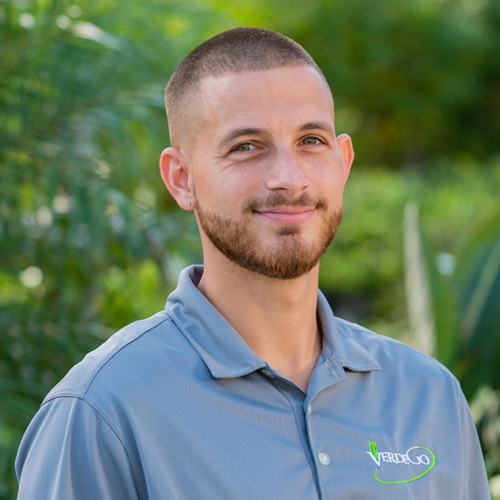 T.J.’s demand for excellence and attention to detail combined with a highly qualified staff has made VerdeGo northeast Florida’s premier Garden Center & Landscape operation. 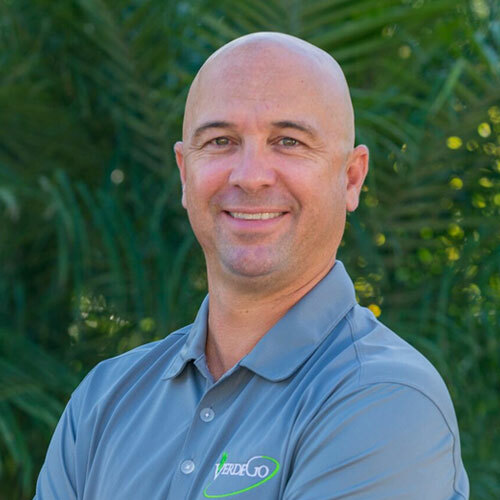 Beau Barnett is our Director of Business Development helping VerdeGo to improve our organization’s profitability and size by generating new commercial maintenance prospects. Beau’s ability to understand maintenance operations, finance, and specific horticulture issues; diversify our approach to building strong landscape maintenance partnerships. 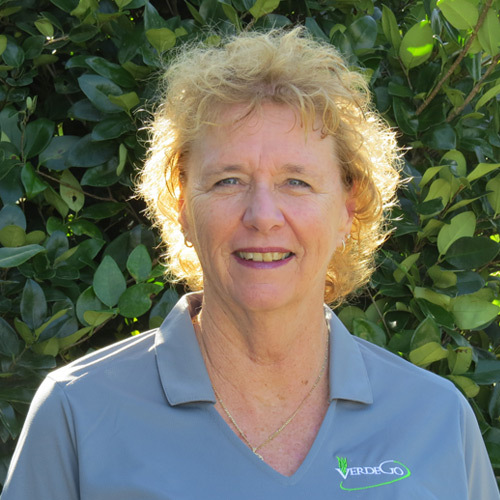 Carrie has been with Verdego for a number of years and has excellent plant knowledge. 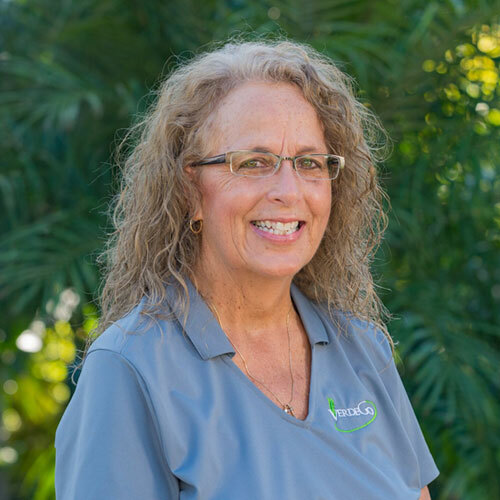 Her years of experience also provides her the skills required as our Purchaser as well as a valued member of our Garden Center Staff. 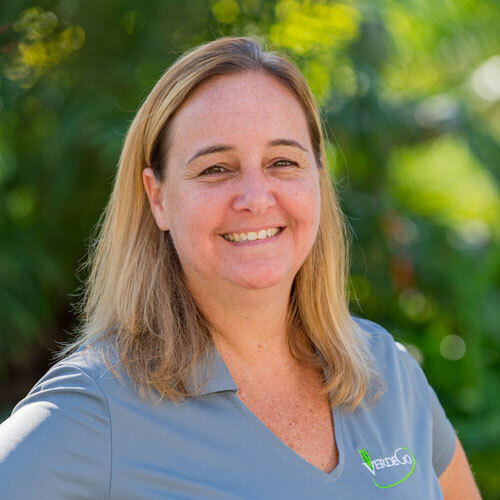 Allynne is a Florida Certified Horticultural Professional with 15 years experience at Verdego. 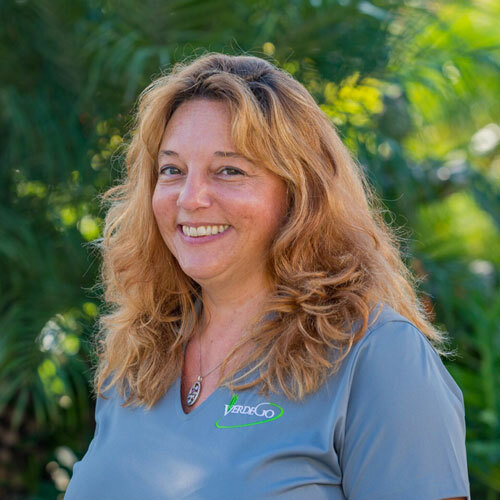 Allynne not only assists customers in the Garden Center but writes the monthly newsletter and handles some of the marketing for Verdego. 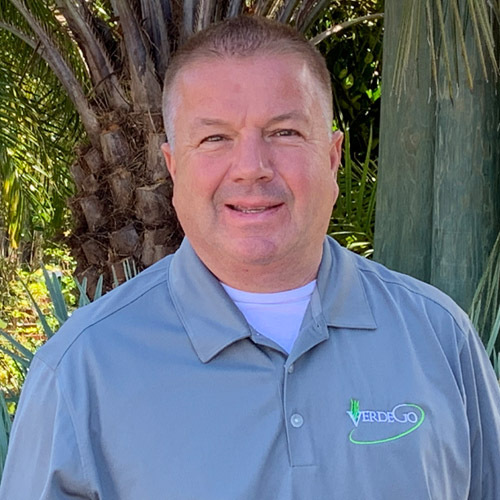 Billy is one of our Directors of Business Development and is focusing on helping VerdeGo grow our commercial maintenance division. He comes to Verdego with 15 years of Business Development experience in various industries. Billy is a native to Palm Coast and has a Business Administration degree from the University of North Florida. 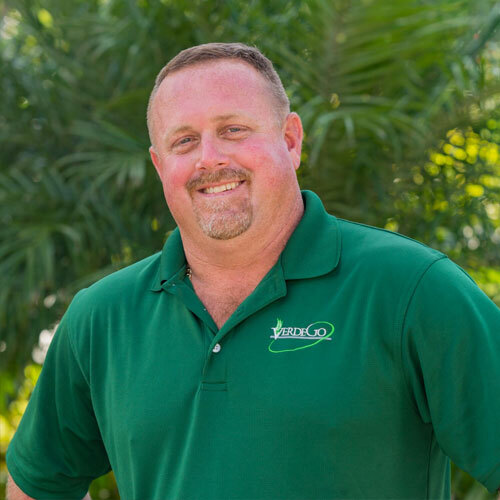 Bob joins our team bringing with him an extensive background in landscaping and horticulture. Bob previously owned his own business for 30 plus years specializing in residential and commercial landscape. 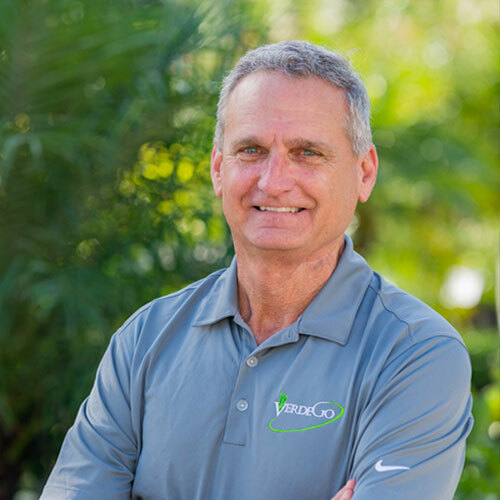 We look forward to having Bob part of the VerdeGo family and what a great asset he will be to the company. Andres heads up all of our landscape installation crews. 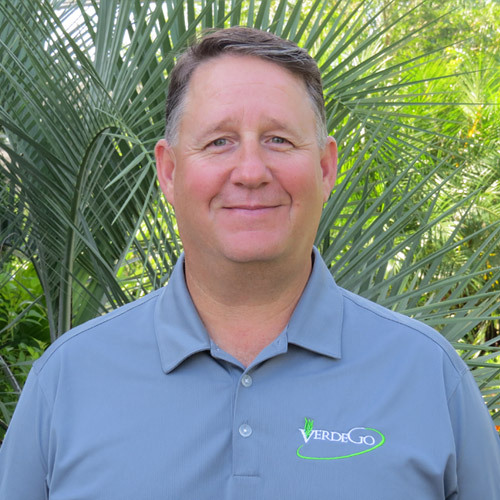 He has been with VerdeGo for over 15 years and has extensive plant, landscape, hardscape, &irrigation knowledge. Bruno oversees all Landscape Maintenance Operations and personnel. 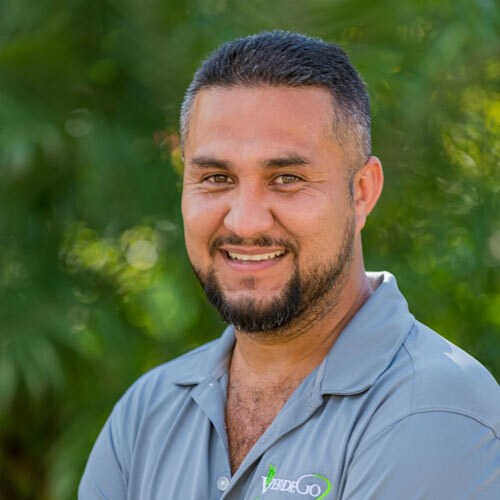 He provides a great deal of experience to VerdeGo and is an integral part of keeping VerdeGo running smoothly and moving forward. 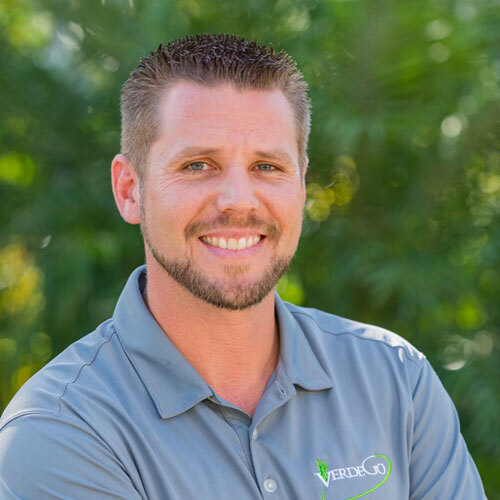 Ryan joined the VerdeGo team, bringing with him 13 years of experience with a background in irrigation and maintenance. 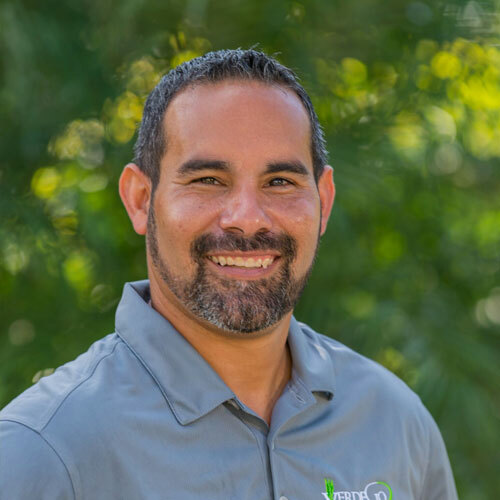 Ryan is a specialist in two wire systems and is a Certified Landscape Irrigation Auditor with the US Irrigation Association. A welcome addition to our team! Jennifer is our office and human resources manager. Her great attitude & hard work ensures that our business is running at its best. David is an ex-serviceman with 20 years of service as part of the United States Submarine Force. 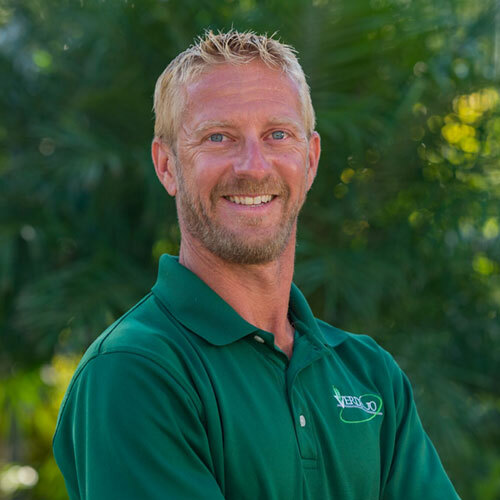 David is a Florida Native who has over 15 years experience in the landscaping estimate industry. David works with the Business Development team to provide take-off and cost analysis for new construction and maintenance projects. 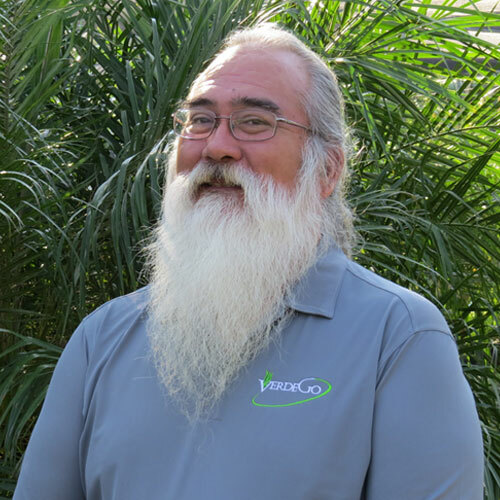 Jeff brings to Verdego over 20 years of experience in landscape maintenance and construction. 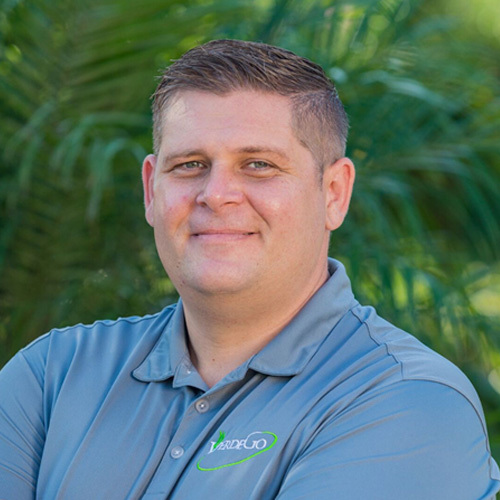 Jeff manages Maintenance Landscaping Accounts for Verdego and his experience is a valuable asset to our company and clients. Picture forthcoming. 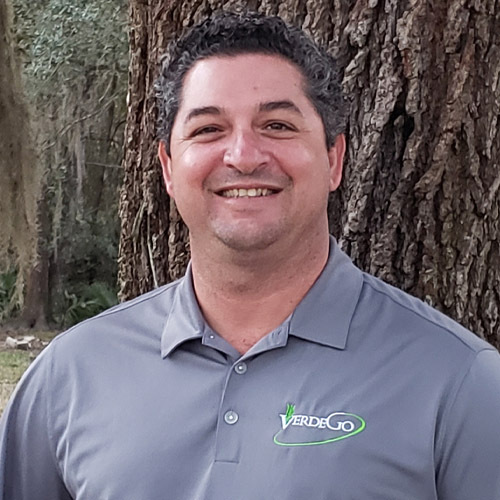 Robert comes to Verdego with 20 years experience in the turf industry- the majority of which was in golf course construction and course superintendent. He is BMP (Better Management Practices) certified as well as a Certified Commercial Applicator. 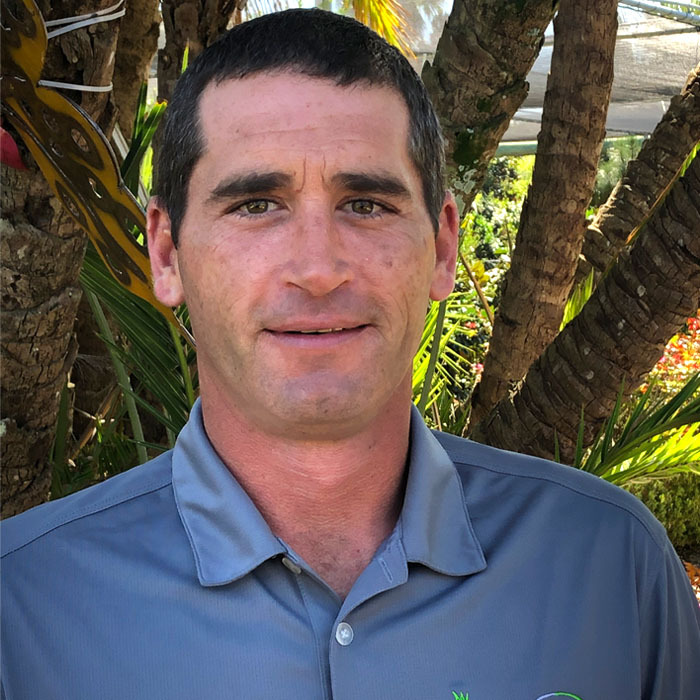 Robert’s extensive experience in turf, irrigation and drainage will prove to be a great asset to our customers. Brian has an all-encompassing background in sales over the last 13 years. He owned and operated his own business for almost 11 years – specializing in landscape, maintenance, irrigation and hardscape. Brian will be an Account Manager located in our Bunnell office. His knowledge and experience will be a great asset to our company. Brian is our senior landscape designer & heads up our design center. 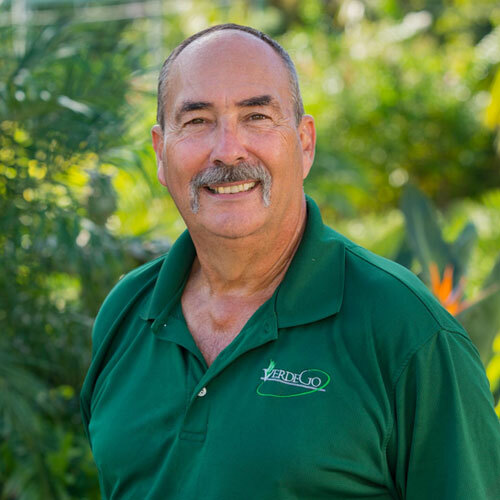 He is a Florida Certified Landscape Designer with over 30 years of experience in the landscape industry. His extensive plant & design knowledge lead the way for all our future endeavors. 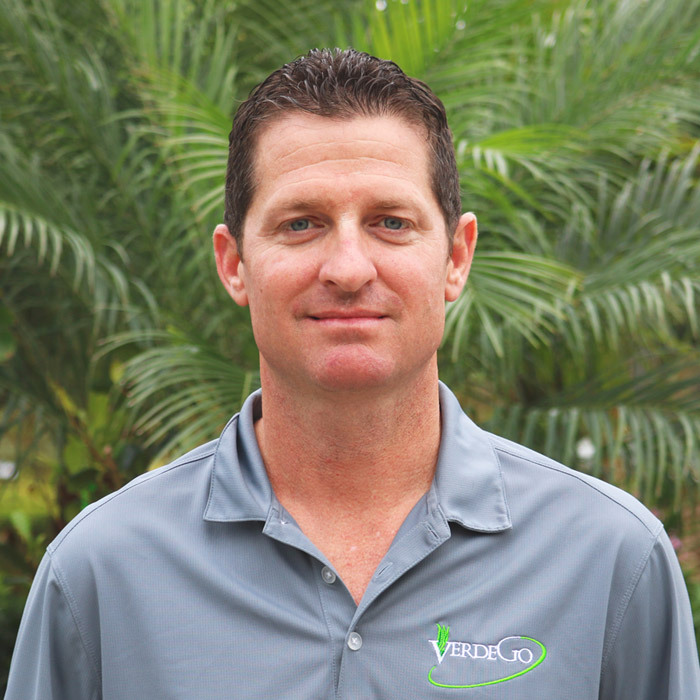 Matt came to Verdego with over 15 years of experience in design and landscape operations. His wealth of knowledge shows in the innovative, beautiful landscapes that he designs for both homes and businesses. His advanced understanding of customers needs, coupled with attention to detail, results in not only outstanding landscapes but high levels of customer satisfaction. 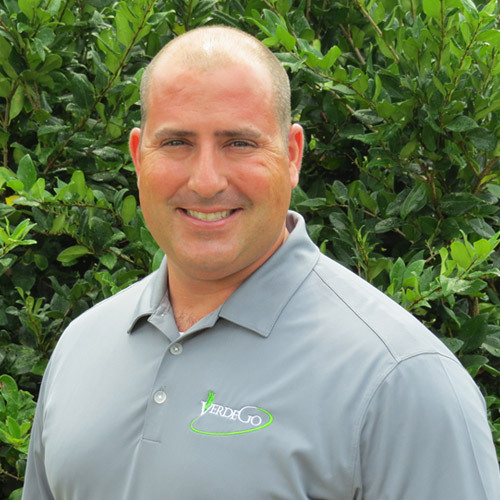 Jesse has been in the landscaping industry for over 20 plus years. Jesse has an abundant background in landscape- working from the ground up in residential and commercial designs. With his expertise and knowledge, Jesse is a great addition to the Verdego team! Amanda came to Verdego with 10 years’ experience in Landscape Design. She has an AAS degree in Horticulture and a BA in Landscape Architecture. Her love of plants and her creative talents assist in creating beautiful landscapes and ‘high end’ presentation materials. Tom brings 40 years plus experience in CAD design, 3D modeling, and commercial & residential site designs, to Verdego. He is an essential part of the design staff! 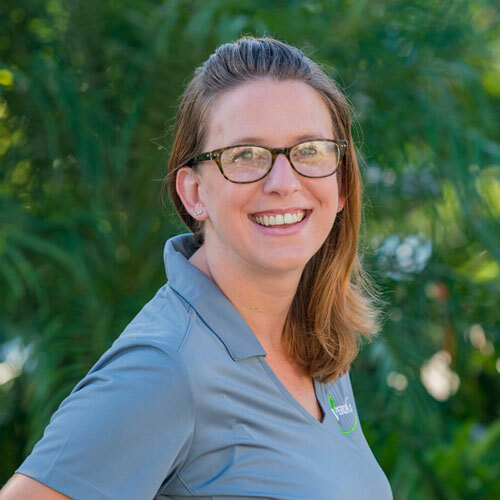 Shannon is an integral part of our design team and assists in the creation & implementation of our landscape designs. 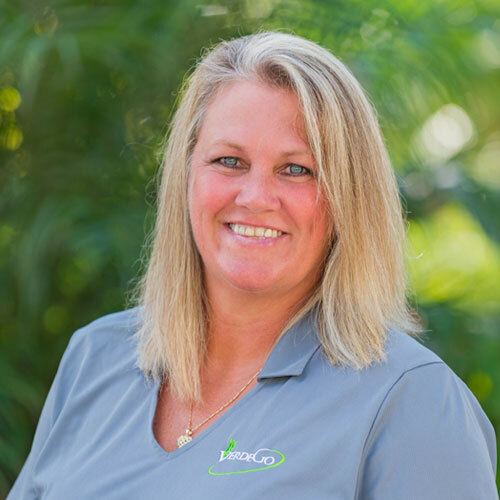 Jennie handles all the daily operations for irrigation and lighting for all new construction, redesign and maintenance both for residential, commercial, and maintenance. 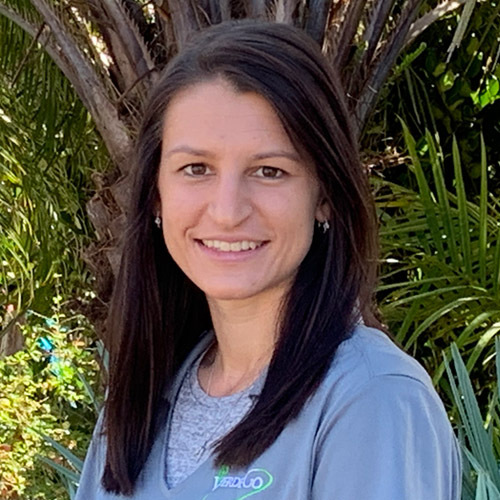 Cody is a 6th generation Flagler county native who comes to Verdego with a wealth of knowledge of not only her home county, but the permitting that is required for the area. 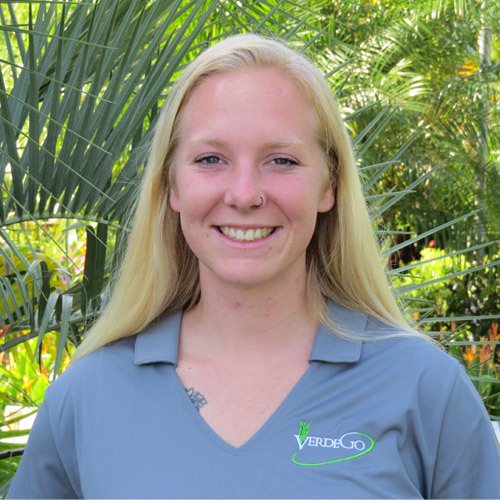 Her several years experience in customer service and permitting makes her a great addition to the Verdego staff. 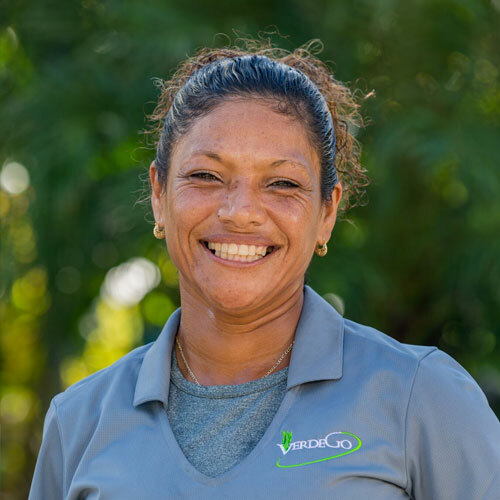 Juana has been with Verdego since 2003. 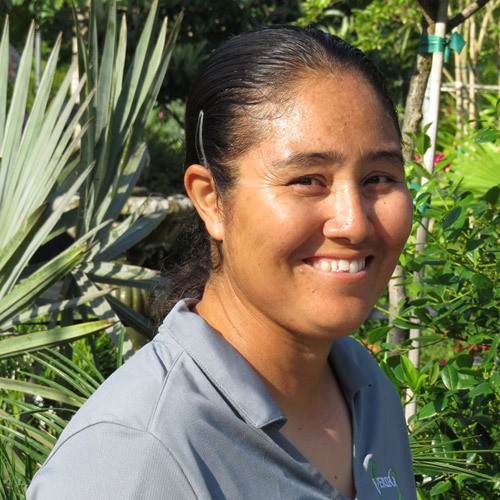 She is a valuable asset to the Garden Center staff with her extensive plant knowledge and her attention to detail. She helps keep our Garden Center looking beautiful and is always willing to assist our customers! With over 15 years experience working with plants Nedi helps keeps our garden center looking good. 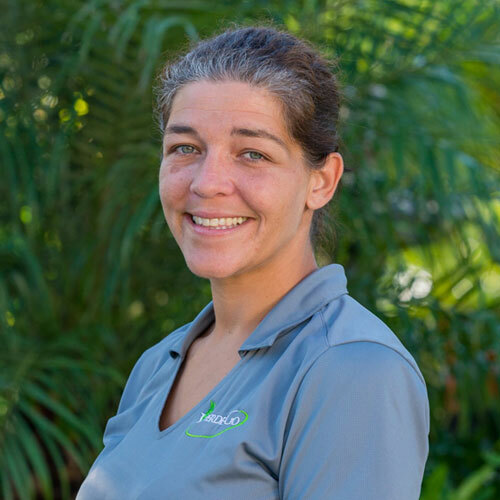 She assists customers with plant selections, sprays, fertilizes, pulls work orders and even loads mulch with the big tractor! Nykia is the smiling face that greets you when you enter Verdego. She comes to Verdego with five years worth of retail and customer service. She comes from a landscaping family and has been around the business for several years. 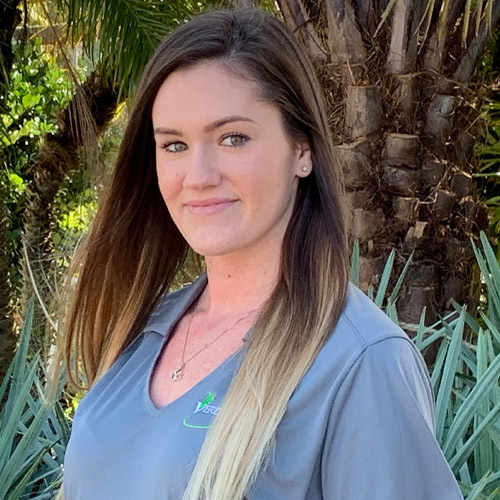 She is excited to be working for Verdego and will endeavor to assist you when you come in or call! Glenn is our irrigation and lighting specialist. He has the knowledge to make sure that your plants are getting the proper water they need during the day and getting the proper look at night. 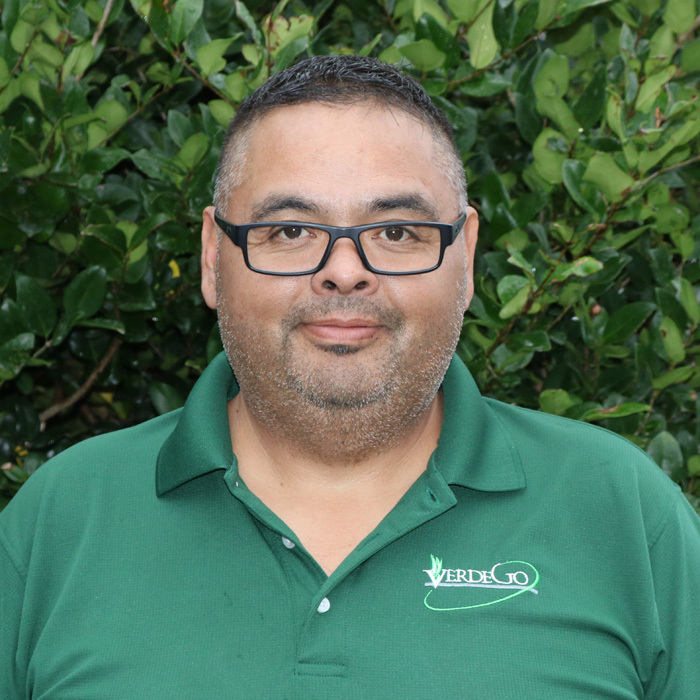 Roland came to VerdeGo with over 20 years experience in the landscape business. Roland is our Production Specialist who works hand in hand with our Project Manager. He schedules and directs personnel and resources toward providing quality, cost-effective services to our clients. A great asset to the Verdego team! John brings over 30 years’ experience in irrigation and lighting in both residential and commercial applications. His valuable experience is a true asset to the team! Randy has developed years of knowledge during his tenure at VerdeGo. He is responsible for overseeing daily operations and manages multiple crews for landscape installation. His experience is a valuable asset to our day to day operations. Picture still forthcoming.